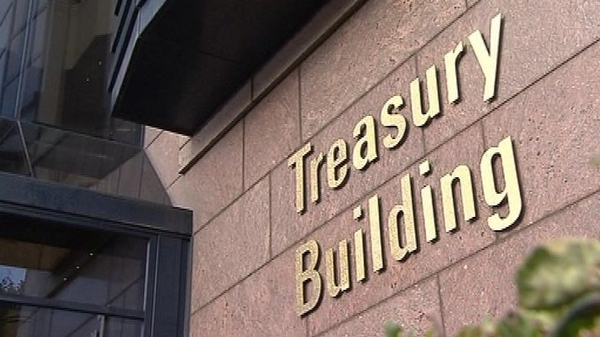 The Director of the National Treasury Management Agency has criticised the downgrading of Ireland's credit rating by Standard & Poor’s. The international ratings agency downgraded Ireland's credit rating from AA to AA-. John Corrigan said the analysis used to make the decision was flawed. Standard & Poor's said the rising cost of bailing out the banking sector was behind the decision. It said the cost of supporting the banks would weaken the Government's financial flexibility over the medium term. The ratings agency said the cost of the bank bailouts could be as high as €50bn and it has added the €40bn NAMA will spend into the national debt. By doing so the ratings agency is effectively saying the loans NAMA will buy from the banks are worthless. The effect of the downgrade, which brings Standard & Poor's into line with the other rating agencies, may be to make it more expensive for the State to borrow money. Minister for Labour Affairs and Public Service Transformation Dara Calleary said the government is 'disappointed' by Standard and Poors' downgrade. The Minister said the rating agency's analysis in relation to AIB, Bank of Ireland and NAMA was 'flawed'. On RTÉ Radio's Morning Ireland, Labour Party Finance Spokeswoman Joan Burton said the downgrade was not completely unexpected.